Hayley is a student at the University of Central Lancashire. After the stress of course deadlines and a dissertation, she wanted to do something she’d never done before. She was quite shy so wanted to push herself out of her comfort zone. 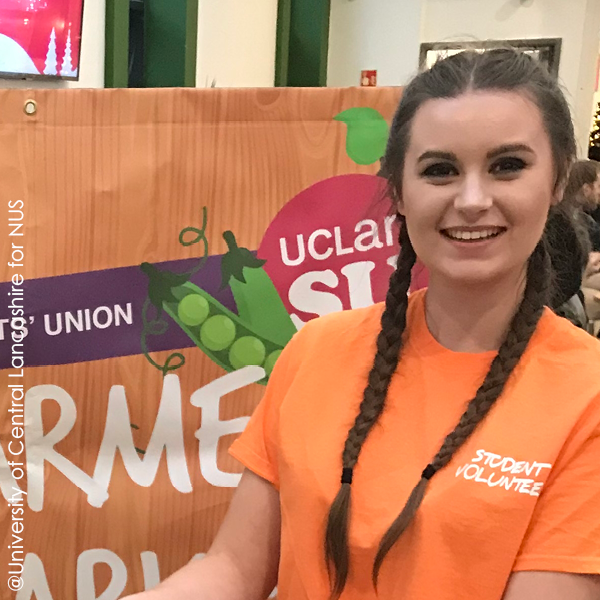 Browsing through the list of volunteering opportunities on the Students’ Union website she came across an advert for the Christmas Farmers’ Market. She ended up leading the event! This role required her organising all the stall holders and building a rapport. She was thrilled when on the morning of the event she could watch as customers flooding into the market. Not only had she improved her leadership skills but she delivered a great event. Find out more about Student Eats which is supporting student led social enterprises on campuses across the UK.